S57830R0375BL Features: -Notrax Switchboard Matting is an insulative PVC matting that is formulated to provide insulation to the worker from being grounded thus preventing electrical shock. -1/4IN THICK. -UNSPC CODE: 30161700. 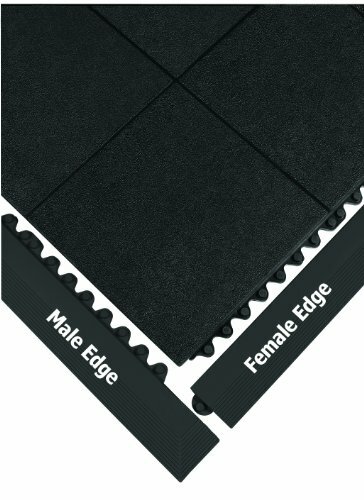 -Anti-Fatigue - Floor Matting Anti Fatigue Floor Matting ergonomics fall protection mat mats. Product Type: -Roll-Out Flooring. Generic Specifications: -Type 2 Compound: Polyvinyl Chloride Class 2 Di-electric Strength: 30,000 volts Proof test of 20,000 volts Recommended maximum usage of 17,000 volts corrugated saw-tooth linear tread pattern. 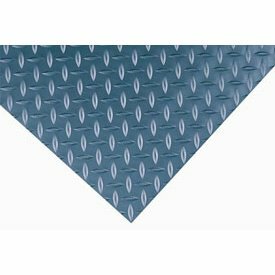 Diamond Plate Non-Conductive Anti Fatigue Matting 4'W x 75'L x 1/4" Width Inches: 48. Length Inches: 900. Thickness Inches: 1/4. Construction: Vinyl. Color: Black. Surface: Diamond Plate. Type: Full 75 Ft. Roll. S57830R0275BL Features: -Notrax Switchboard Matting is an insulative PVC matting that is formulated to provide insulation to the worker from being grounded thus preventing electrical shock. -1/4IN THICK. -UNSPC CODE: 30161700. -Anti-Fatigue - Floor Matting Anti Fatigue Floor Matting ergonomics fall protection mat mats. Product Type: -Roll-Out Flooring. Generic Specifications: -Type 2 Compound: Polyvinyl Chloride Class 2 Di-electric Strength: 30,000 volts Proof test of 20,000 volts Recommended maximum usage of 17,000 volts corrugated saw-tooth linear tread pattern. S57831R0375BY Features: -Notrax Switchboard Matting is an insulative PVC matting that is formulated to provide insulation to the worker from being grounded thus preventing electrical shock. -CONDUCTIVE DIAMOND PATTERN. -UNSPC CODE: 30161700. -Anti-Fatigue - Floor Matting Anti Fatigue Floor Matting ergonomics fall protection mat mats. Product Type: -Roll-Out Flooring. Generic Specifications: -Type 2 Compound: Polyvinyl Chloride Class 2 Di-electric Strength: 30,000 volts Proof test of 20,000 volts Recommended maximum usage of 17,000 volts diamond tread pattern for non-directional safety. 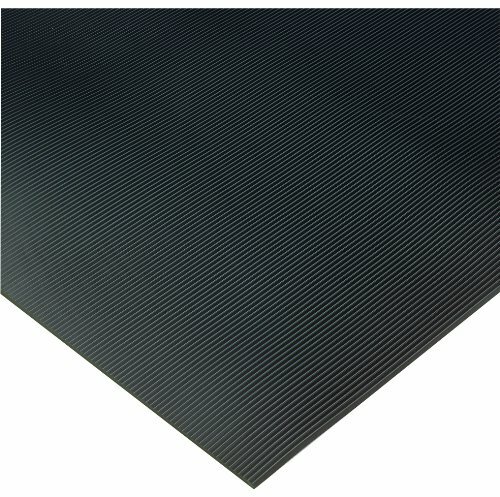 Diamond Plate Non-Conductive Anti Fatigue Matting 3'W x 75'L x 1/4" Width Inches: 36. Length Inches: 900. Thickness Inches: 1/4. Construction: Vinyl. Color: Black. Surface: Diamond Plate. Type: Full 75 Ft. Roll. For extra employee safety, attach the 3 inches wide x 39 inches long Yellow safety beveled edge. Test specifications and results are MVSS 302 Flammability - "A" Rating. It has a flame spread of < 1.6 and is labeled self-extinguishing, ASTM F1677 Coefficient of Friction - Dry: COF = .90 and Wet COF = .20, ASTM C501 Abrasion Resistance - Wear Index, 1/g=70, Federal Standard 191 Modified Tabor Abrasion - < 1 gram lost at 1000 revolutions, ASTM D-1171 Ozone Resistance - Excellent, ASTM D1056 Temperature Range - 10 to 110 degrees fahrenheit, ASTM D 2240 Durometer - 55. Cleaning recommendations: Use a high-pressure hose (not to exceed 1800 psi) and hot water (max 160 degrees fahrenheit) to rid the mats of oils. For best results use a mild soap or detergent like Ivory Liquid with a ph between 4.0 - 9.0, to clean the mats. Do not use steam, degreasers or caustic chemicals. Do not machine wash or mechanically scrub the mats. 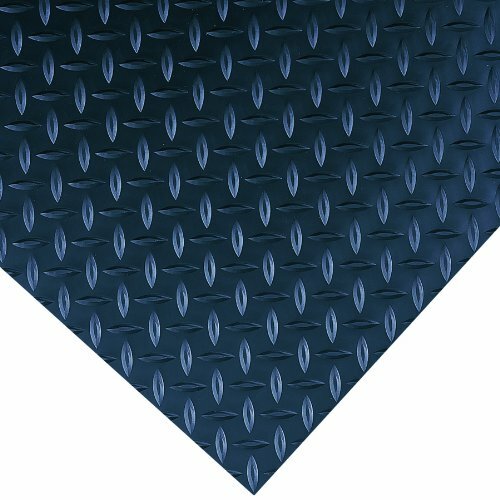 Diamond Plate Non-Conductive Anti Fatigue Matting 2'W x 75'L x 1/4" Width Inches: 24. Length Inches: 900. Thickness Inches: 1/4. Construction: Vinyl. Color: Black. Surface: Diamond Plated. Type: Full 75 Ft. Roll. Looking for more Non Conductive Matting similar ideas? Try to explore these searches: Asics Gel Equation, Kids Motorcycle, and Juicy Couture Button.